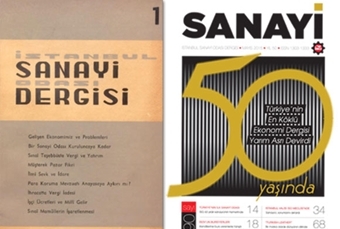 Istanbul Chamber of Industry's (ICI) monthly magazine Sanayi celebrated its 50th anniversary in May. Taking the pulse of industry and standing out with a visionary perspective that offers solutions for existing problems, the magazine is one of the oldest publications in Turkey. 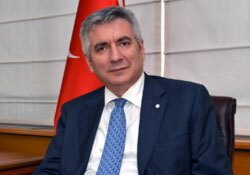 ICI Chairman Erdal Bahçıvan said, "Our magazine speaks for our chamber and members, and we are proud of its contributions to Turkish economy and industry." Sanayi's new issue in May also offers the first issue published on March 15, 1966, sold for 2 lira back then. Having hit the shelves on March 15, 1966 to provide ICI members with updates and information, the magazine has felt the pulse of industry and industrialists since the first issue. Sanayi offers a platform whereby industrialists are able to express their views and opinions, and it stands out with a visionary perspective that presents solutions for industrialists' problems. ICI Chairman Erdal Bahçıvan: "Since 1966, our magazine speaks for our chamber and members, and we take pride in our magazine's contributions to Turkish industry. In line with its mission, the magazine will continue to give voice to ICI's and Turkish industrialists' opinions in the public, supported by its powerful past. I hope the magazine will see many anniversaries in the future." Honoring the 50th Anniversary, Sanayi's new issue in May also offers the first issue published on March 15, 1966, sold for 2 lira back then. May's issue features the milestones over 50 years, prominent cover stories as well as the transformation of both Turkey and Istanbul. Witnessing the process whereby the Turkish industry, taking baby steps in 1960s, has grown into an export giant, the magazine has so far included many topics in its cover stories such as economic crises, energy problems and EU accession process along with many hot debates in Turkey. Sanayi magazine has met readers with a new design since October 2013 and promotes a particular industry in its cover story every month. The magazine features many sections including files, ICI Assembly's agenda, macro-economic analyses as well as updates from the economic circles.